According to the Boston Herald, a high school student who was on board the bus called her mother, claiming that Redmond was driving unsafely. She told her mother that she was getting off the bus at the next stop due to the man’s driving. 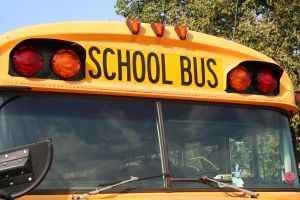 The student’s mother then alerted police, who located the bus on Route 6 westbound in a Burger King parking lot. At that time, a handful of students were still on board the bus. In the state of Michigan, individuals who drive on a CDL or commercial driver’s license may not operate a vehicle with a BAC of greater than 0.04%, which is half the legal limit of 0.08% that applies to other drivers. Not only will bus drivers or drivers of other commercial vehicles face criminal penalties if convicted of driving under the influence including possible jail time, fines, probation, and other punishment, they may also face suspension or revocation of their CDL license, which essentially takes away their ability to provide financial support for themselves and their families. Every DUI matter is serious, regardless of whether you were driving your own personal vehicle when arrested or a commercial vehicle. Driving while under the influence of alcohol or drugs is a criminal offense that brings damaging consequences to the lives of those convicted. If you have been arrested or charged with a drunk driving offense, consult with an experienced Michigan DUI attorney immediately, so that work can begin to protect your legal rights and freedom.